89001 Avocet approaches Colton Junction on 27 May 1990 with the Hertfordshire Railways Kings Cross to York 'Modern Railways 500' railtour. Unfortunately, I didn't manage to get many pictures of this unique and stylish locomotive, but at least I saw it in all three of its liveries. 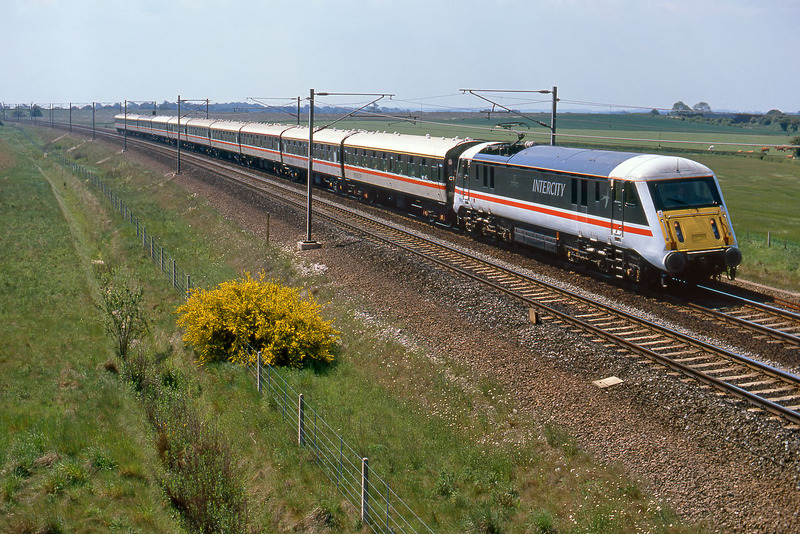 Prior to this InterCity 'Swallow' colour scheme, it ran in the original InterCity Executive livery, and then when it saw service on the mainline for a second time after a period in preservation, it ran in GNER blue.